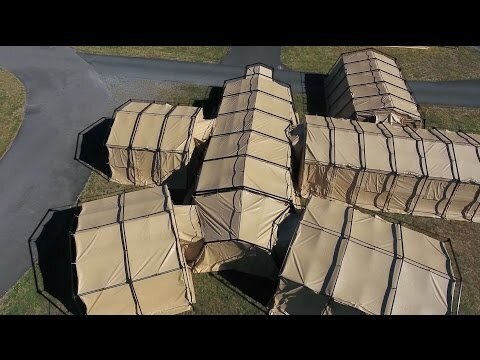 When your troops are in a harsh environment and speed is vital, you can count on the CAMSS 20TAC shelter systems to go up quickly, stay up strong, and rapidly strike to a light-weight compact size. 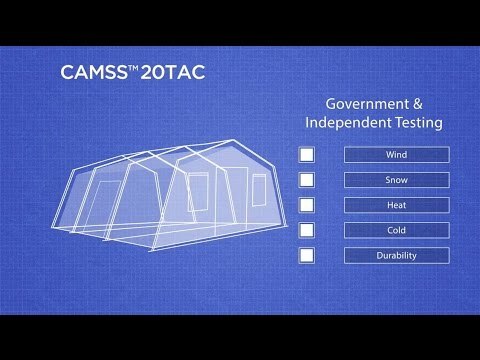 The CAMSS 20TAC family of shelter systems include the 20TAC13, the 20TAC20, and the 20TAC32. The CAMSS 20TAC family also make complexing easy. You can quickly connect shelters together to build your own layout. Designed with an intuitive 1-piece folding frame and 1-piece fabric bundle, a CAMSS 20TAC shelter can be set up in as little as 3 minutes. 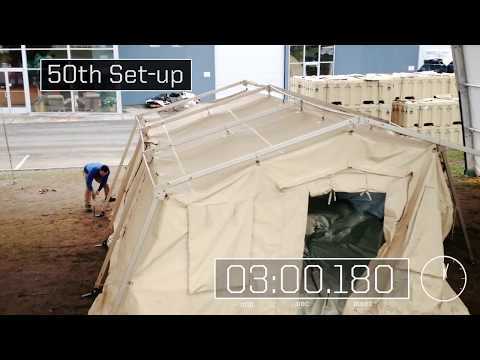 With durable aluminum alloy parts, this shelter is longer lasting than other rapid deployment shelters available.